CHARLESTON S.C. – The Charleston Battery announced on Thursday it had signed Bermudan international Zeiko Lewis for the 2019 USL Championship season, pending league and federation approval. Lewis returns to the USL Championship with the Battery from Icelandic first division side Handknattleiksfélag Kópavogs (HK). The 23-year-old spent the end of last season with HK on loan from Fimleikafélag Hafnarfjarðar (FH). Prior to his move to Iceland, Lewis was a midfielder for New York Red Bulls. The 23-year-old was selected 17th overall by the Red Bulls in the 2017 MLS SuperDraft, and subsequently went on loan to the Championship’s Red Bulls II, whom he helped reach the Eastern Conference Final of the 2017 USL Cup Playoffs. 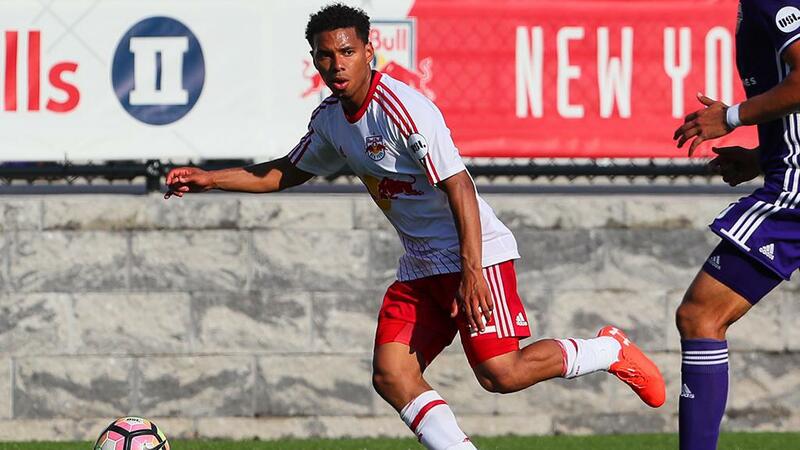 Lewis scored two goals and recorded one assist while creating 23 chances in 23 appearances for the Red Bulls II. Lewis has also featured regularly for Bermuda since earning his first senior cap for Bermuda at the age of 16, having scored eight goals in 18 appearances for his country since his debut. He scored a hat trick in Bermuda’s victory against Sint Maarten last October in qualifying for the 2019-20 Concacaf Nations League, helping the side sit seventh in the current standings ahead of March’s game with Dominica and in contention for its first trip to the Concacaf Gold Cup this summer. FARIAS LANDS WITH INDY: Indy Eleven announced the signing of defender Lucas Farias as the club continued to build its roster for the 2019 USL Championship season. The signing is pending international transfer clearance, and league and federation approval. The move to the Eleven marks the first time the 24-year-old Brazilian has signed for a club in the United States. Farias has previously played in Sao Paulo Futebol Clube (Brasileirao Serie A) and Brasileirea Serie B side Esporte Clube Sao Bento respectively, in 2012 and 2018. Farias has also served as a defender on loan for Boa Esporte Clube (Brasileirao Serie B), Clube Nautico Capibaribe (Brasileirao Serie C) and Grupo Desportivo Estoril Praia (LigaPro). In 2013, Farias was called up to the Brazil Men’s national team U20 squad to participate in the 41st edition of the Toulon Tournament in France. Brazil finished in the first place, earning the team’s seventh title since the tournament’s inception in 1967. FOXES ADD FRESNO NATIVE: Fresno FC announced on Wednesday evening it had signed Fresno native Elijah Martin for the 2019 season, pending league and federation approval. Martin returns to the USL Championship for the first time since spending two seasons with the LA Galaxy II, when he collected 17 appearances over 2014 and 2015. Martin has also represented the United States in the youth ranks, having played for the U-17 U.S. Boys National Team during the 2013 CONCACAF U-17 Championships in Panama. “I’m very appreciative for the opportunity Fresno is giving me to help achieve my goals. I’m looking forward to competing and working my way to playing at the highest level,” said Martin. The 22-year-old midfielder/defender brings versatility and pace to the Foxes after having spent the previous seasons with the Fresno FC U23s and Fresno Fuego at the USL League Two level.